Covalent or Noncovalent? 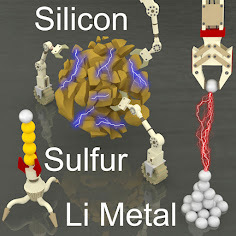 : Our manuscript entitled "Systematic Molecular-Level Design of Binders Incorporating Meldrum`s Acid for Silicon Anodes in Lithium Rechargeable Batteries" is just accepted for publication in Advanced Materials. Congratulations to You Kyeong and Taewoo and thanks to our collaborator Prof. Jang Wook Choi! Our Systematic investigation of polymeric binders incorporating Meldrum`s acid revealed most critical binder properties for silicon anodes in lithium ion batteries, that is self-healing effect facilitated by series of non covalent interactions!